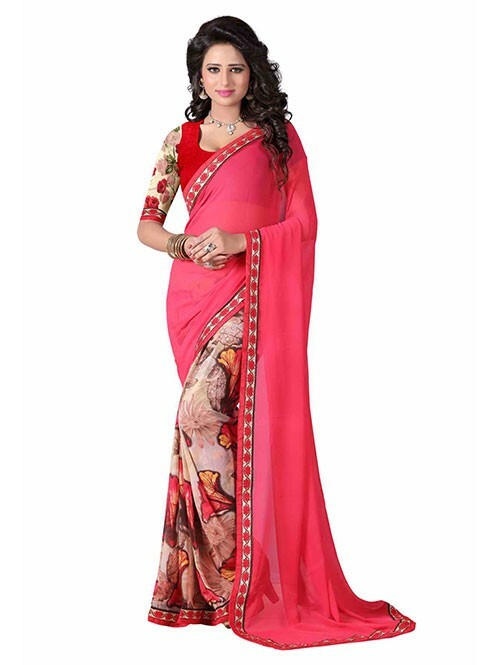 Exude sheer charm and elegance wearing this Multi colored saree from Grab and Pack Beautifully designed, this saree will become your favorite in just no time. Team this Weightless saree with a necklace set and high heels. 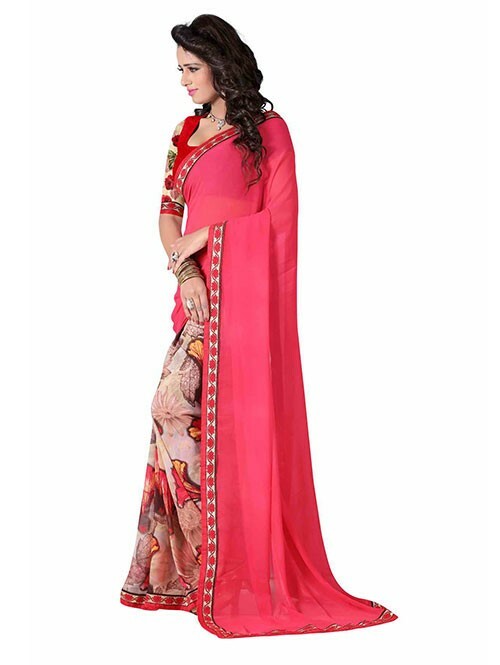 Furthermore, this saree measures 5.5 m and comes with 0.8 m blouse piece.